Having spent my formative years in a moderately sheltered suburb, the first images that come to mind when I hear the word "commune" consist of a few dozen hippies living in the woods, probably sitting in drum circles, debating the evils of capitalism and how things should just be...like, freely shared amongst society, man. Also, drugs. Jokes aside, the hippie subculture at its core strongly values working together as a group to live in harmony, and sharing life with your fellow human beings - something that people all over the world can relate to. Having spent the last two months working with the Center of Small Enterprise Development Assistance (SEDA for short), I've since learned how some elements of the commune structure have been practically applied to help alleviate poverty on a larger scale (those hippies were on to something). But first, let's explore why SEDA focuses their efforts on lending to women. Why target women for loans? Access to financial services for women in Vietnam can be challenging, which is why SEDA almost exclusively targets them for its loan products - approximately 97% of its clients are female. · Worldwide women have shown a greater spirit of enterprise, usually take their business very seriously and make an essential contribution to the economy of developing countries. Consequently loans to women generally result in a higher repayment rate, compared to loans attributed to men. · Women have a much more limited access to credit because they don’t have any assets to use as collateral for a loan, since assets or land are usually registered on the name of the husband. Micro finance doesn’t only improve the women’s financial situation, but there is also a socio-cultural (their position in the family and society), psychological (increased self-esteem) and political (more decision making power) impact to be noticed. In this respect, micro finance is a powerful tool for improving the status of women. SEDA is one of many organizations worldwide who support these conclusions, and are actively working to close the gender gap through microloans. This is Thoa, a SEDA borrower I recently interviewed. She creates intricate wooden casings for clocks and can carve 2 per day...by hand! One of her dreams is to grow her shop large enough so she can provide jobs for people in her community. In SEDA's five and a half years as a Kiva partner, it has administered over 2,250 loans to borrowers. The shocker? During that time, SEDA's clients have yet to miss a scheduled repayment - a delinquency rate of 0%!2 Even for the microfinance sector, which averages repayment rates of 95-98% globally3, this is an impressive feat considering the many factors that can affect a vulnerable client's ability to repay (a sudden illness or natural disaster, for example). I asked my colleagues at SEDA how they're able to maintain such a strong record and they all point to the same thing - their structured approach to client management, also known as the commune system. Per SEDA's definition, a commune is made up of multiple borrower groups from the same community. SEDA's lending practices are designed such that it requires every borrower to operate within the context of a structured group and commune. This encourages more communication and collaboration than clients might otherwise have on an individual loan basis. The cost of administering loans is also reduced, as the commune system puts part of the onus of repayment collection on the Group Leader and Commune Leader. This way, SEDA's loan officers only have to schedule and meet with a single person to collect an entire group's repayments. The borrowers also benefit from increased flexibility to repay, which helps them to better plan their work days. 1. Group Member: The average group at SEDA consists of six borrowers. Borrowers are in charge of forming their own groups before they can apply for a loan, so the most important factor at play is trust. If one member can't make their repayment during a given week, the other members will have to cover the shortfall in order to maintain their good standing with SEDA and preserve their ability to secure favorable terms for future loans. Since borrowers usually form groups with their friends, it creates an opportunity to take advantage of constructive peer pressure. It's this dynamic that allows the group lending model to be so effective. Members support and encourage each other's development so everyone can succeed...and of course, nobody wants to let down their friends. 2. Group Leader: Each group nominates one person to serve as Group Leader. This person acts as the group's representative and is the main liaison to the Commune Leader. A Group Leader will gather repayments from each member in advance and communicate any issues prior to the loan collection dates, leaving the other members more time to focus on their work. 3. Commune Leader: The Commune Leader is a voluntary, elected position representing multiple groups. Commune Leaders perform many duties on behalf of their constituents including vetting potential new group members (both for fit and ability to repay), coordinating the various Group Leaders for meetings with SEDA Loan Officers, and notifying SEDA if a repayment will be late. Commune Leaders are typically well respected, established leaders within their communities. They are voted into the role by the other group members and are up for re-election every year, but there tends to be very little turnover in these positions. Mrs. Hoa, SEDA's business manager, leading a discussion with group members during a loan disbursement meeting. Build relationships: Borrowers are required to attend quarterly meetings with all of the other groups in their commune. During these sessions, SEDA facilitates discussions to encourage dialogue between the borrowers. Many subjects are covered, ranging from how to overcome challenges in their businesses, to the pros & cons of the commune structure. This is also a time for the borrowers to simply bond with each other. Promote learning: SEDA will periodically organize events bringing several communes together to deliver trainings on personal finance. 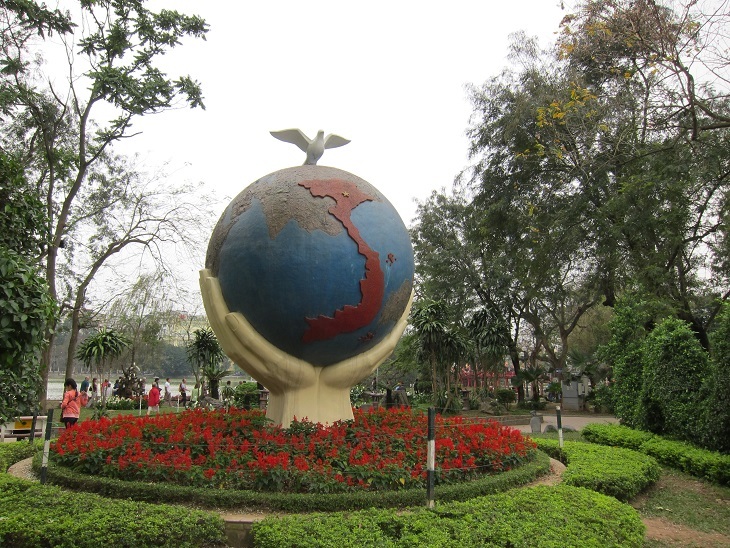 Provide incentives: Every year, SEDA identifies its highest performing clients from its branch offices and treats them to a weekend getaway in Hanoi. SEDA provides transportation, gives them small gifts, and arranges sightseeing trips as a way to celebrate their success and further build client self-esteem. Join the Fans of SEDA and Binh Minh lending team and make a loan to a SEDA borrower today! You can also click here to view all of the loans currently fundraising in Vietnam. 1 Putzeys, Ruth. 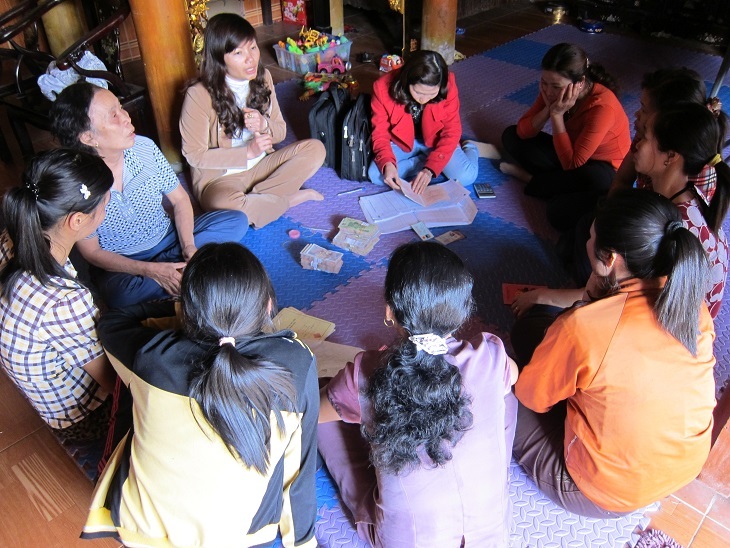 Micro Finance in Vietnam: Three Case Studies. May 2002.